NOTE: The Base is on the ground floor, is wheelchair accessible, and has a gender neutral toilet. NYC ABC has been busier than usual. For some, that might seem hard to imagine. However, between hosting a packed-house event with CrimethInc at The Base and the NYC Anarchist Book Fair the following day, it’s been an assiduous couple of weeks. 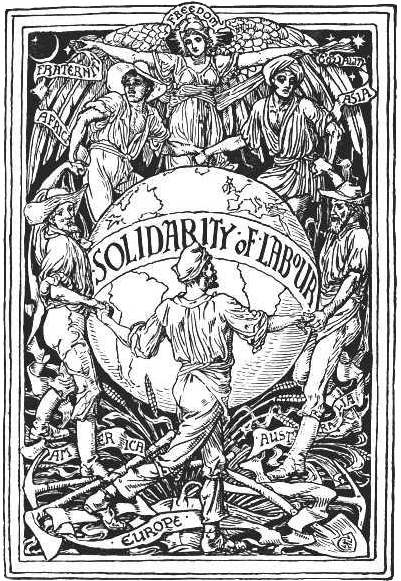 And as we look forward, May Day is just around the corner. So, in honor of the Haymarket Martyrs, and anarchists imprisoned for their beliefs and actions, we focus this week’s letter-writing dinner on them. Instead of writing letters, this week we will be asking folks to come sign cards for the thirteen anarchist political prisoners we currently support. There will be plenty of time for eating food, socializing, and scheming to bring about a world in which we want to live. If there’s absolutely no way you can come eat a ton of food and sign a lot of May Day cards, but still want to support political prisoners, please consider sending some books from their wish lists. The deal, as always, is that you come bringing only yourself (and your friends and comrades), and we provide you with a delicious vegan meal, information about the prisoners as well as all of the letter-writing materials and prisoner-letter-writing info you could ever want to use in one evening. In return, you write a thoughtful letter to a political prisoner or prisoner of war of your choosing or, better yet, keep up a long-term correspondence. We’ll also provide some brief updates and pass around birthday cards for the PP/POWs whose birthdays fall in the next two weeks thanks to the PP/POW Birthday Calendar. Central Avenue Stop: Walk east on Myrtle Avenue (away from Hart Street, toward Cedar Street). We’re about two blocks down on the south side of the street. Knickerbocker Avenue Stop: Walk west on Myrtle Avenue (away from Harman Street, toward Himrod Street). We’re about three blocks down on the south side of the street. DeKalb Avenue Stop: Walk south on Stockholm Street (away from Wyckoff Avenue, toward Irving Avenue). We’re about four blocks down, at the intersection of Stockholm Street and Myrtle Avenue. Myrtle Avenue Stop: Transfer to the M train and follow the above directions.